The Lancaster House Agreement, signed on 21 December 1979, established the necessary conditions for the recognised independence of Zimbabwe (formerly Rhodesia) and marked the comprehensive abrogation of white minority rule in the former British colony. Although the agreement was overseen by then British Foreign Secretary Lord Carrington, one should not overlook the efforts of his predecessor, David Owen, in laying its foundations by elevating the cause of international human rights among British diplomatic priorities during the late-1970s. Following Ian Smith’s Unilateral Declaration of Independence (UDI) from Britain in 1965, Rhodesia entered the political wilderness – ostracised by the international community and beleaguered by economic sanctions. Still, Smith remained bullish, and apparently oblivious to the brewing racial tensions which, by 1972, had developed into a fully-fledged guerrilla campaign fought between several black nationalist factions and the Rhodesian security forces. Declarations of independence notwithstanding, Rhodesia consequently remained a thorn in the side of its erstwhile colonial metropole during this period; a stain on Britain’s record of decolonisation that would prove resistant to the attempted ablutions of successive governments, undermining Britain’s position within the multi-racial Commonwealth of Nations in the process. Owen’s unexpected promotion to the position of Foreign and Commonwealth Secretary in February 1977, however, served to inject fresh impetus in tackling the Rhodesian impasse. Whereas the post-UDI imposition of largely ineffectual economic sanctions was interpreted by many contemporary observers as an indication of Whitehall’s prioritisation of economic interests in Southern Africa above the plight of the black Rhodesian population, Owen sought to draw a line under such prevarications by tackling the issue of racial discrimination head-on. To be sure, attempts to contextualise Owen’s Rhodesian initiative should not overlook the escalation of the conflict and the growing sense of impending humanitarian crisis it engendered. Nonetheless, the intensity of Owen’s focus on the Rhodesian question can only be fully understood in relation to his adoption of a broader, multi-faceted human rights agenda. In Human Rights (1978), Owen outlined a diplomatic itinerary that was very much in keeping with the international zeitgeist. The insertion of human rights into the East-West dialogue and gross abuses of human dignity in countries such as Chile and Uganda had, in Owen’s opinion, “raised the profile of human rights in international affairs” to the extent that those entrusted with the formulation of foreign policy – at least those in “democratic countries” – were now compelled “to give a higher priority than ever before to human rights.” Although Owen proceeded to bring into focus issues as disparate as Eurocommunism and world poverty through the lens of human rights, Southern Africa (and particularly Rhodesia) was highlighted as the focal point of this enlightened approach to foreign policy-making – the eradication of racial discrimination in the region framed as a matter of British responsibility at the tail-end of its imperial history. Indeed, despite being conceived as one part of a holistic elevation of human rights concerns worldwide, Owen’s human rights agenda – as it pertained to Rhodesia in any case – betrayed a distinctly parochial set of anxieties arising from Britain’s retreat from empire. 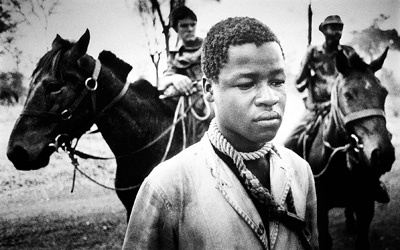 For Owen, Britain’s imperial history in Africa possessed a contradictory character, as a flagrant disregard for the principle of self-determination was offset to some degree by the activities of organisations such as the London Missionary Society, who “did much to bring home to the British Government and British public opinion their duty to defend the human rights of the native peoples.” Moreover, Owen had regarded Britain’s handling of the transfer from the Empire to the Commonwealth (a “mature partnership between equals”) as “broadly successful” prior to Smith’s rebellion in 1965. Hence, in Human Rights, Owen could speak of “Britain’s generally good colonial record in Africa” being tarnished if it failed to take a more resolute approach to tackling racial discrimination in the here and now. Owen’s Rhodesian policy was therefore not exclusively driven by a sense of moral obligation; it was also “an assertion of British national interest.” If Britain continued to connive at racial discrimination in Rhodesia it would soon cease to possess any moral authority in the Commonwealth or elsewhere, and would further problematise the already “intractable” issue of race relations within the United Kingdom itself. Owen’s identification of the elevated position of human rights concerns within international discourse during the 1970s speaks, first and foremost, to recent scholarly interpretations that have depicted that decade as a ‘breakthrough’ moment in human rights history; when human rights achieved an unprecedented level of global prominence and began to clearly transcend earlier conceptions of rights and liberties that derived their authority from the nation state. 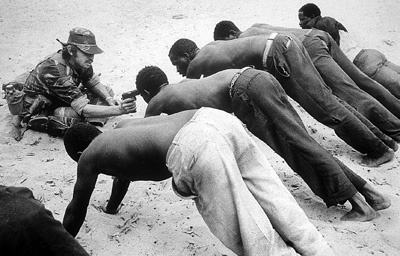 By translating this development into a decidedly British vernacular, however, Owen’s Rhodesian initiative also casts a spotlight on the highly contingent nature of human rights as a historical phenomenon that has been moulded by its interaction with nation-specific discourses and traditions. Furthermore, the apparent subsumption of human rights within Britain’s colonial history – albeit as a means of expediting its conclusion – holds particular significance for historians of human rights and humanitarianism in the sense that it speaks directly to an ongoing debate surrounding the appropriate separation or integration of the two concepts. Recent years have witnessed much gnashing of teeth over the state of modern-day humanitarianism, with particular concern exhibited over the emergence of rights-based approaches to humanitarian assistance. Indeed, as far as their underlying precepts and operational frameworks are concerned, numerous scholars still emphasise the need to consider human rights and humanitarianism in isolation. Regarding their historical relationship with colonialism more specifically, it has often been posited that humanitarian initiatives and imperial agendas have lacked the degree of mutual exclusivity that one may naturally infer. Human rights, by contrast, are commonly viewed as a fundamentally modern phenomenon, antithetical – or at the very least, inimical – to the inherently discriminatory practices of colonial governance. Taking issue with the widespread conflation of the two concepts in the present-day, Samuel Moyn is perhaps the most prominent human rights historian to advocate for “near-absolute prophylactic separation” in the abstract, in part due to the conflicting political forms or “classical paradigms” in which human rights and humanitarianism have operated historically. Despite being emancipatory in its intent and arguably in its outcome, Owen’s implementation of the language of human rights within a colonial framework and the repackaging of colonial tropes such as imperial beneficence and noblesse oblige ipso facto, can therefore be interpreted as an episode which blurs the oft-drawn distinctions between human rights and humanitarianism vis-à-vis their relationship to colonialism. Moreover, the unmistakable synthesis of moral obligation and national interest within this context may be seen as an attempt to preserve some semblance of Britain’s colonial-era prestige by maintaining a historically grounded moral authority, and thereby the mandate to act as a major player on the world stage; a paragon of enlightened leadership at home and abroad that could continue to ‘punch above its weight’, irrespective of the divestment of its territorial possessions and the marked diminution of economic and military capability that so profoundly shaped the British post-war experience. Barnett, Michael. Empire of Humanity: A History of Humanitarianism (New York: Cornell University Press, 2011). Chandler, David. From Kosovo to Kabul: Human Rights and International Intervention (London: Pluto Press, 2002). Leebaw, Bronwyn. ‘The Politics of Impartial Activism: Humanitarianism and Human Rights’. Perspectives in Politics 5, no. 2 (June 2007): pp. 223-239. Moyn, Samuel. The Last Utopia: Human Rights in History (Cambridge, MA: Harvard University Press, 2010). Owen, David. Human Rights (London: Jonathan Cape, 1978). Paulmann, Johannes. ‘Humanitarianism and Empire’. In The Encyclopedia of Empire, Volume II: D-J, edited by John M. Mackenzie (Chichester: Wiley-Blackwell: 2016): pp. 1112-1123. Wilson, Richard Ashby and Brown, Richard D. ‘Introduction’. In Humanitarianism and Suffering, edited by Richard Ashby Wilson and Richard D. Brown (Cambridge: Cambridge University Press, 2009): pp. 1-28. David Grealy is a PhD candidate at the University of Liverpool where he received his BA in history (2014) and a Master’s degree in twentieth century history (2015). His research focuses primarily on British diplomatic perspectives on the human rights ‘breakthrough’ of the 1970s. David was a participant of the Global Humanitarianism Research Academy 2017. Citation: David Grealy. ‘Rhodesia, 1977-1979: David Owen, Human Rights and British Foreign Policy’, in Online Atlas on the History of Humanitarianism and Human Rights, edited by Fabian Klose, Marc Palen, Johannes Paulmann, and Andrew Thompson, 2018-05, urn:nbn:de:0159-2018050704 [2019-04-26].